The pregnancy process is something which is very important to family units. As this is an important time, it is crucial to make sure that everything runs smoothly. In cases where they do not, and birth injuries through ante-natal errors or errors during birth occur, it is important to seek legal advice about your birth injury compensation as soon as possible. 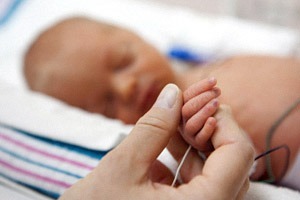 Birth injuries are claims for birthing injury to either the mother or the baby. The most common claim for injury to the baby is cerebral palsy which is where the baby is starved of oxygen and consequently, results in brain damage being caused to the baby. The most common claims for injury to the mother are vaginal tears and incorrect suturing. We also deal with many other more specific cases and are very experienced in all birthing injury claims. Although some of these injuries are inevitable, many are caused through negligence. At Bloomsbury Law, we understand that this may be a very difficult time for you. You may be very busy recovering and may not have your usual energy levels to put into the claim. Although, these claims can be very complex, we have experience in making the process run as swift as possible. We will work with you through this difficult time and make sure you receive the best possible outcome. If you are looking to make a claim through a birth injury, please get in contact with one of our experts as soon as possible.